In George Romero’s post-apocalyptic sequel to Night of the Living Dead, the zombie population has spread rapidly, overwhelming the crowded inner cities and causing utter chaos. A group of survivors, including a couple who work at the local television news station and a pair of SWAT team members, steal a helicopter and eventually take refuge in a large indoor shopping mall that is teeming with zombies. An American/Italian co-production, Dawn benefited greatly from the involvement of Dario Argento, whose international cut was titled Zombi. 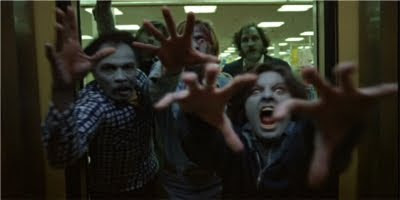 Its success spurred a slew of zombie films in its wake, including Fulci’s Zombie Flesh Eaters, which was released as Zombi 2, although related in name only. The influence of Romero’s film can be felt not only within the zombie film subgenre, but also in video games, television, fiction, and modern pop culture. This curious blend of action, camp, social commentary, and outright horror has secured the film’s place as a cult classic. It boasts groundbreaking gory special effects by Tom Savini and, in Argento’s version, a Goblin soundtrack. Followed by several sequels and a remake, Dawn has lost none of its impact over the decades.